"Big Man Camps" can be a GREAT way to get noticed by College football coaches, but MOST players come unprepared & unequipped to succeed. Pass Blocking & Pass Rush skills are highly underdeveloped, especially at the High School Level. 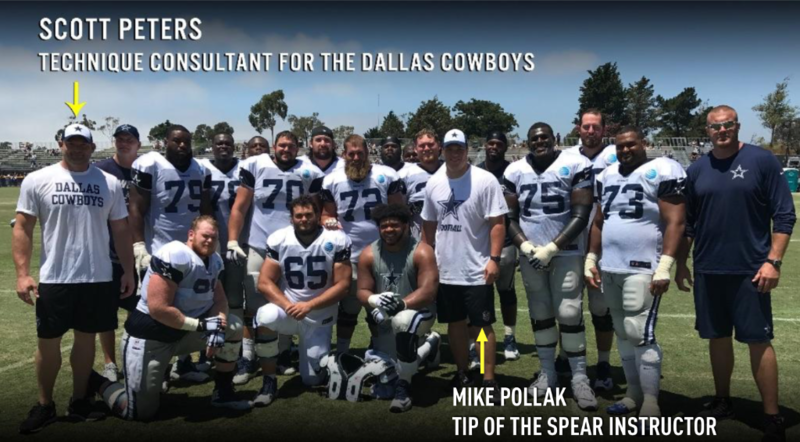 Tip of the Spear has trained more than 8 NFL teams and dozens of Major D-1 OL/DL Coaches with the very same techniques players will learn in this camp. We invite serious players (only) to join us to elevate & upgrade technique so every rep becomes winnable, regardless of the size, strength or speed of the opponent. Players will learn the same leverage recovery techniques currently used in the NFL. A one on one tournament style drill will progress until ONE player is crowned Champion!! The winner of this drill will receive a unique prize pack from Tip of the Spear. Comfortable workout clothes; t-shirt, shorts etc. Scott Peters is considered by some of the NFL & NCAA’s most respected line coaches to be the top technique expert in the world. A 7 year NFL veteran, expert in marital arts and world champion grappler, Peters has contracted with 10 NFL teams, & 14 major college football programs. In 2012, he launched “Safe Football,” an instructional program to remove the head from contact. 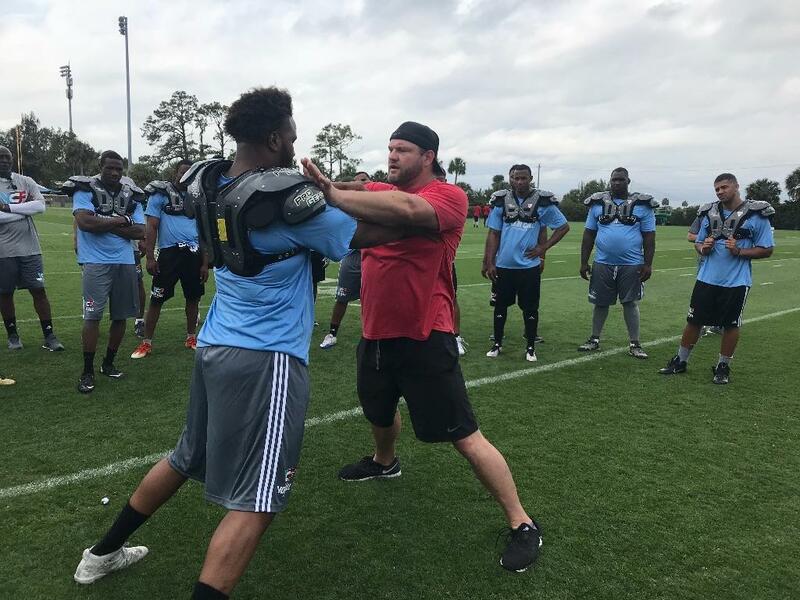 Since then, over 450 High School coaching staffs have been trained and certified, and the results for injury prevention are just as impressive as the performance benefits experienced by players and teams. Mike Pollak is an Arizona native that became one of the best Centers in the country at Arizona State. He was a 2nd round draft pick of the Indianapolis Colts (’08-’11), spent one season with the Carolina Panthers (’12) and finished his career with the Cincinnati Bengals (’13-’14). Over his 7 year NFL career, playing Guard and Center, he was often labeled as a “technician” on the field due to his commitment to understanding the details of the game and specifically offensive line play. His passion for sharing the positional knowledge he has collected over his extensive playing history allows him to connect to the players he works with, watching them grow into excellent football players on the field and leaders in their communities off the field. Coach Fichtel is a former Center for the Rams and Cowboys. He now resides in Dallas, TX and is one of the top offensive line coaches in the area. Brad brings an attention to detail and passion for the game that players will benefit tremendously from his expertise. Coach Fichtel is dedicated to sharing these new techniques and helping players reach their football goals.